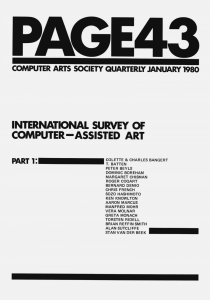 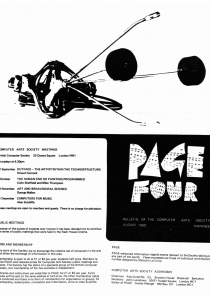 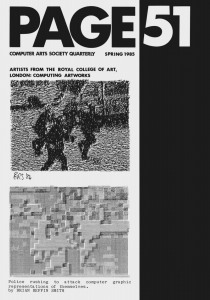 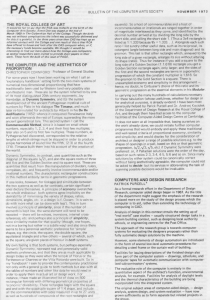 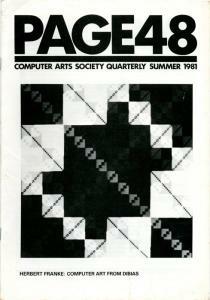 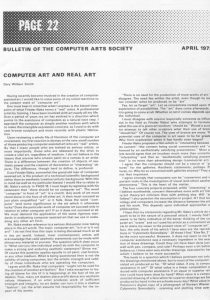 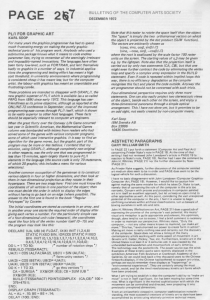 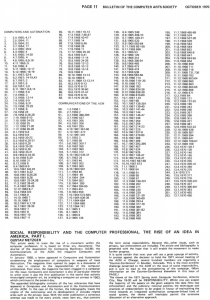 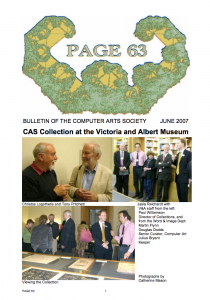 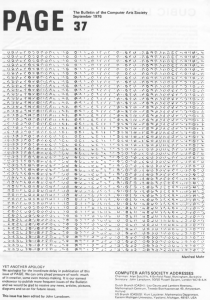 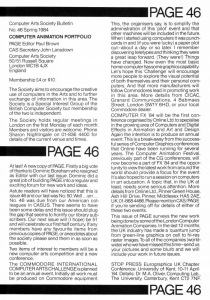 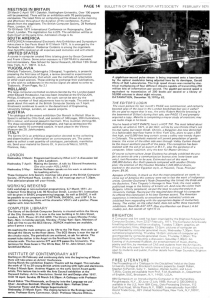 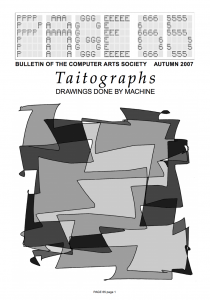 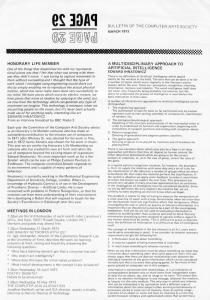 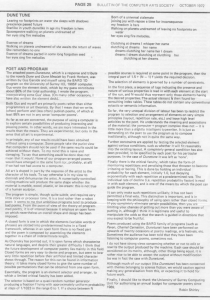 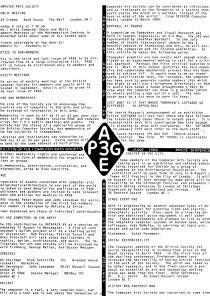 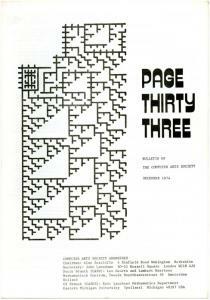 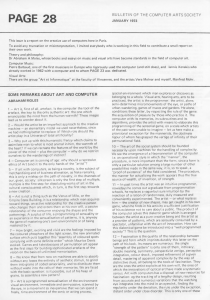 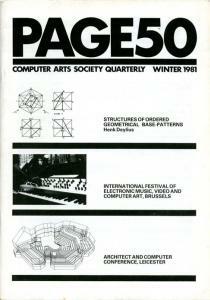 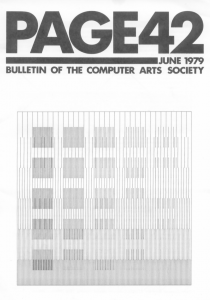 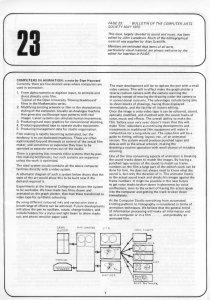 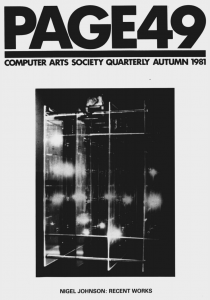 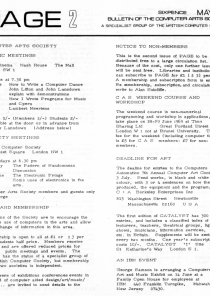 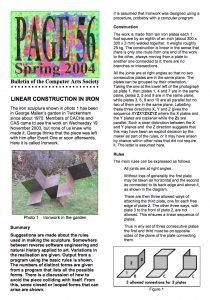 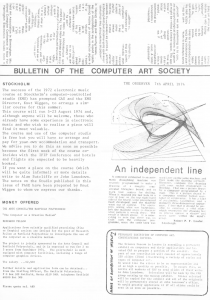 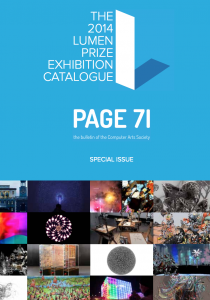 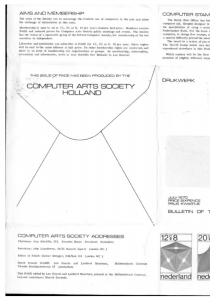 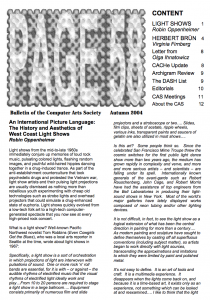 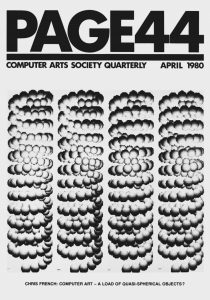 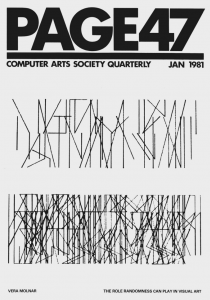 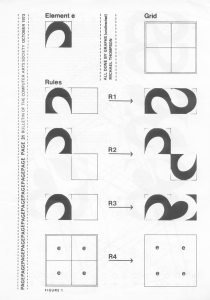 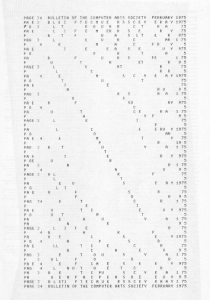 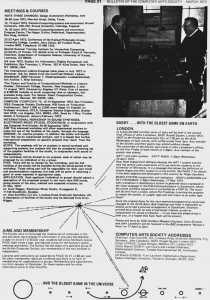 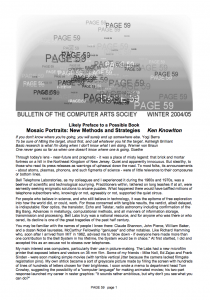 PAGE is the bulletin of the Computer Arts Society. 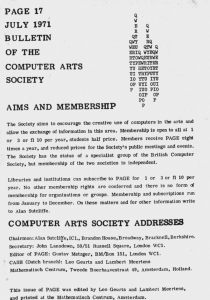 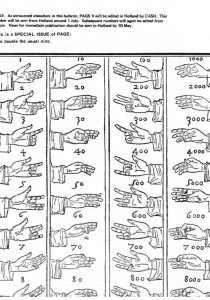 It was first published in 1969 and was a core part of the Society's activities, particularly its early years. 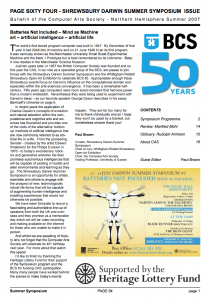 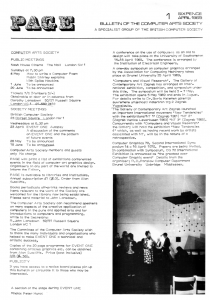 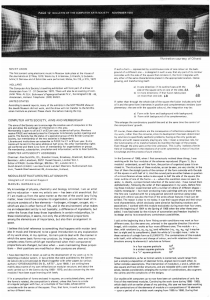 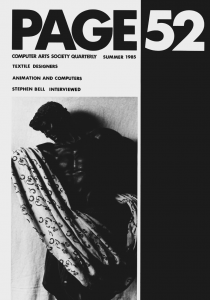 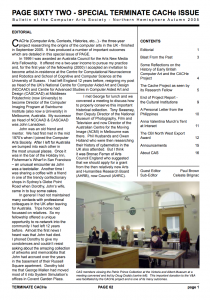 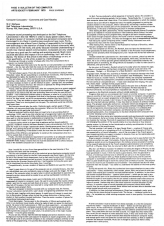 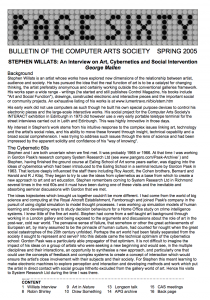 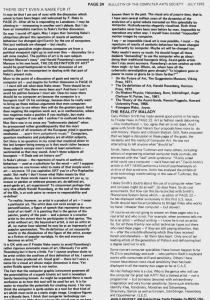 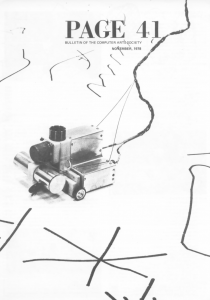 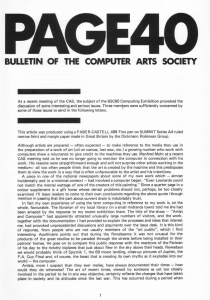 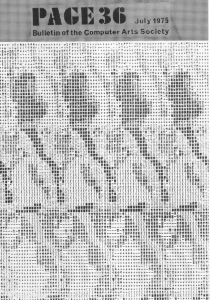 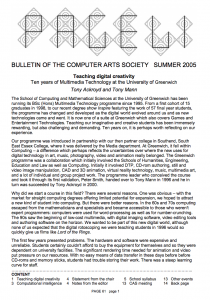 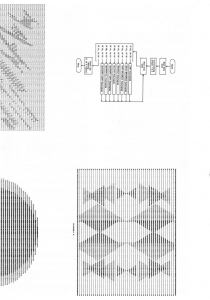 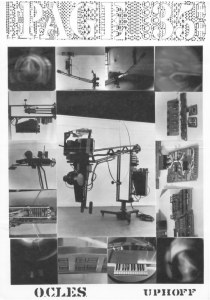 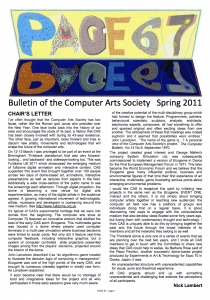 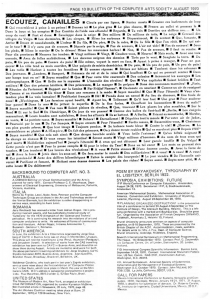 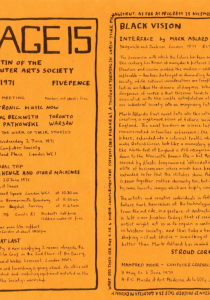 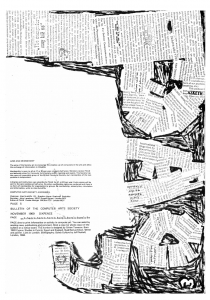 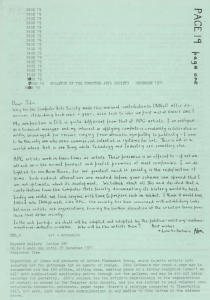 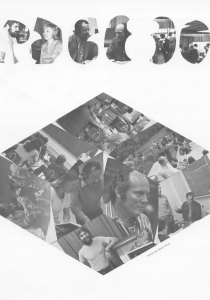 The bulletin was first edited by auto-destructive artist Gustaz Metzger and has since been edited by Alan Sutcliffe, Dominic Boreham, Paul Brown and others. 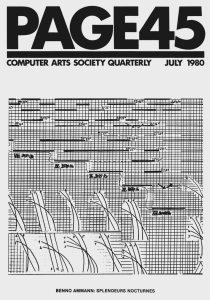 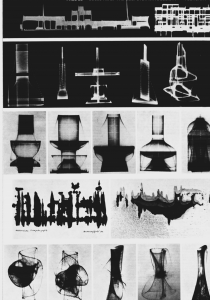 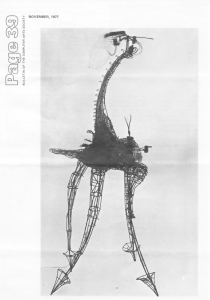 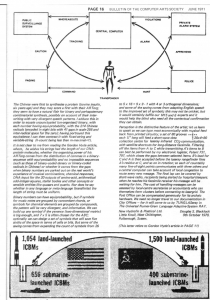 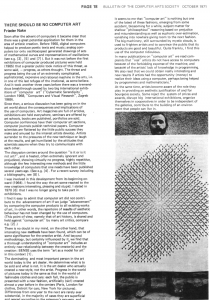 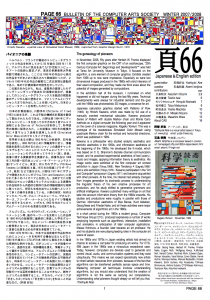 Between 1969 and 1985 there were 52 issues of PAGE - ranging in size from one-page bulletins to full-size magazines. 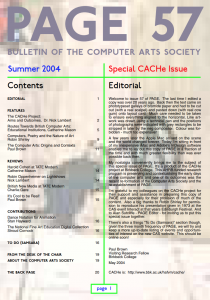 There was then a hiatus until 2004, after which 13 additional issues have been published.